I had 64. So 66 is right on, IMO. What is the chance that they had us higher on the list but with new news of Ndiaye not being eligible, Elijah not coming back, etc. they moved us into #66. I guess my ultimate question is do they jack with the list as time goes on to account for updates over the 144 days? My guess is once they found out EC left, we actually moved up a few spots. If we lose to San Diego St and BYU at home then there will be no at-large. If we win then both and don’t get blown out at Central Florida there is hope. Those two home games are must-win games. Basically play-in games. We get very little respect with this ranking. Meanwhile (and I hate to bring it up again) but this ranking views Wichita State will have a better team than us. Right or wrong this let's you see the perception gap between our programs. I think the ranking is spot on. What have our players proved? They went 18-15 with virtually the same team. The people doing the rankings aren't going to assume they improve by 8 games nor are they going to assume Copeland is the real deal without anything backing it up. With that being said I don't think WSU is better than ISU but maybe they give the benefit of the doubt to Marshall and what he has been able to accomplish. I look at it this way. Copeland > Williams? Jefferson > Hein? Chastain > Gasman? Those three players logged a lot of minutes last year. If the rankings can include incoming freshman who haven't proved anything then why can't they include those three players who are upgrades? We will be better because we will be deeper. To us biased fans its a huge difference. To the rest of the country...probably not much. Consider this, Loyola went into last season with the same team MINUS its first team all conference and best player Milton Doyle. They were 8-10 the previous season and you would think wouldn't be significantly better. However, a veteran team (helped by a couple surprise newcomers) can significantly improve its year over year record. You saw it in the way Loyola played team defense at an elite level in their final 4 run. And they were dominate all year. Experience is extremely valuable in college since teams turnover players so often. I'm not disagreeing with you. I think they will win 26+ games. I'm saying don't expect the media to agree and truth be told they have a valid reason not to believe that. Whoever said that this is ranking gives us very little respect is SPOT ON. ISU should be spending most of the year in the top half of the "others receiving votes" section of the media poll. To put the birds in the mid 60s is a bit of a joke and certainly bulletin board material. Besides fans who are up on the team why would anyone put an unproven program in the 25-35 area? Copeland? Unproven. All new players? Unproven. It's not like the unproven players are 4 star players. No. 2 stars. Tinsley? Is he first half or second half Tinsley? They arent will to bank their reputation as a journalist on second half when he hasn't shown to be consistently that. Beyond the big 3 nobody is proven. Bruniga didn't exactly light the world on fire. Idowu is a freshman. Jefferson is unproven. Doesn't exactly make the people who rank the teams excited and shouldn't. Time to stop being bias. I too believe they are going to win 26+ games but I'm not naive enough to understand why others don't agree. It's a legit reason. Maybe don't put so much weight on the "new" players. Put the weight on the fact that MY, Phil Fayne and Keyshawn Evans are all going to be getting paid to play basketball at this time next year and are all on the same starting lineup WITH Tinsley and WITH Copeland. If those two guys do NOTHING, you are getting 50 points, 10 assists and 22-23 rebounds a game out of those three players alone. You want to play with historical data? Aren't you the guy that saw ISU be a viable at large bid 4 times in the last 12 years only to be passed up every single time then argued that it wouldn't happen this year because "The committee wouldn't do that"? Pick a lane, man. If you think ISU should be in the conversation for an at large with 25+ wins this season, you MUST think this is a very poor ranking from CSM. 1. No idea what you are talking about last part. I've been around since about a few months before the old board went bye bye. Maybe 2 years? 2. You're assuming MY, evan,s, and faune are all getting to 17 points every game. They may average 17 per game but they all may hit 26 one game and blow out Chicago state by 60 and then only get 8 the next game. Then you're losing that game because now your big 3 only scored 24 points. Usually not that drastic but you get my point. You can't count on 50 points wach game from the big 3. They may score 62 one night then only 38 the next nogjt and now the other 6 need to score 32 just to get to 70. I'm not worried. If ISU is as close as they were to an at-large in 2017 then they will get in. The committee will not egregiously snub the same mid-major twice in three years. It just won't happen. You do realize the committee isn’t the same every year, right? If you feel the ISU ranking is spot on then you believe ISU does not stand a chance for an at large bid. The ranking does not surprise me for many reasons but I disagree with the 66 spot. 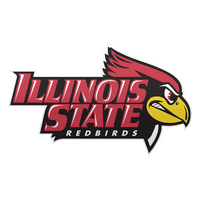 I believe ISU will be good enough to be in the discussion for an at large bid. I would rank ISU in the 48 to 42 range but do believe the actual results could move the ranking up some or, move likely, it could go down considerably. The intangibles on this team are a concern...ie off the court troubles, player's remaining eligible due to grades, immature player attitudes, as well as player leadership. This team, IMO, could even be in the 70’s-90’s. They have a lot to prove...and I’m not buying in until I see them on the court.